What would you do with 150 Mac minis? I'm not a Mac owner, but I know plenty of them (I sued to be, many moons ago). 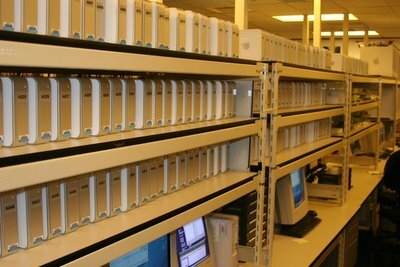 If you like / love Macs, you'll like this post by David Weiss who's got loads of pics and info on the Microsoft Mac Lab. What would you do with 150 Mac minis...? I would use it as an excuse to get the Digipede Agent running on Mono and then do some serious benchmarking of the Digipede Network on the Mac. hi alex, i think i’d distribute them far and wide to porper front end coders like myself for testing cross browser – its one of the biggest wants on most small pc based business hit lists.